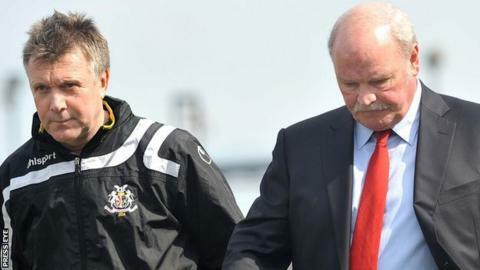 Portadown boss Ronnie McFall has agreed a new two-year deal with the Shamrock Park club. McFall was considering the offer of a new contract, which it is believed may not include a role for McFall's long-time assistant Kieran Harding. He has now accepted the offer and the deal is set to be ratified next week. McFall, who has been Ports manager since December 1986, has led the team to four Irish League titles and three Irish Cup successes. Harding has been at McFall's side for well over a decade. In 2009, McFall was given a five-year contract to stay at the Shamrock Park helm.